Locked out of your house? Lost the house key? The key broke and is stuck in the cylinder? 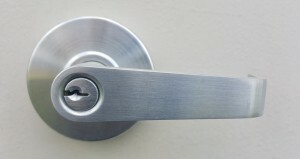 Is the dead bolt lock jammed and not turning? There are numerous ways your can get locked out of the house. When and if it happens call Amboy Locksmith for 24/7 Emergency lockout service. The last thing you want to do is make a situation more costly by breaking a window or forcing the door open. Those repairs can be far more expensive than calling us to replace a lock or duplicating a key so you can get back into your house. With two locations in Staten Island, being locked out of your home is no problem. We have one of the fastest response time available. Getting back to the comfort of your home is important so we will be there as soon as possible to get back into the comfort of your home. Call us anytime, day or night for 24/7 home lockout service!